Depression and addiction are complex and can feel impossible to manage—especially if someone is dealing with them simultaneously. Fortunately, help is available for both disorders. Understanding the risk factors, symptoms, and treatment options can help people with dual diagnoses feel more empowered and engaged in their healing process. Both disorders can affect one another. For instance, some people with depression may use substances to ease their symptoms. On the flip side, substance use can exacerbate mental illness symptoms or even cause them, in some cases. Locating appropriate care and treatment for people struggling with a dual diagnosis is essential for recovery from both conditions. Depression doesn’t have a single cause. But several genetic, environmental, psychological, and biological risk factors are linked to its onset. Adverse or traumatic childhood experiences. First-degree family members with depressive disorders. Chronic medical conditions, such as diabetes, obesity, and cardiovascular disease. A series of stressful life events and changes. Family members with a history of substance use. History of poor coping skills. Lack of parental supervision and involvement. As the United States continues to become more proactive in identifying and treating mental illness, research continues to improve our understanding of risk factors and preventive measures. Persistent sadness and/or feelings of emptiness. Guilt or feelings of helplessness and worthlessness. Loss of interest and enjoyment in usual activities and hobbies. Insomnia or hypersomnia (sleeping more than usual). Restlessness and/or difficulty sitting still. Major increase or decrease in appetite and/or weight changes. Increased body aches, pains, or soreness without a clear medical cause. Addiction refers to the problematic abuse of substances despite serious interpersonal, financial, or medical consequences. By nature, addiction can be progressive, meaning these symptoms often get worse until the substance user gets help. 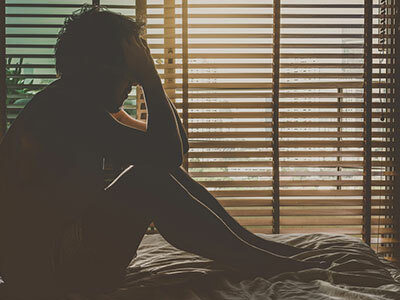 Withdrawal from certain types of drugs and alcohol sometimes results in a set of symptoms that overlap with or resemble those seen in cases of depression. As indicated, the use and withdrawal of these common substances may also intensify preexisting mental illness symptoms—another reason it’s so important for people suffering from addiction and depression to be evaluated by an addiction professional for thorough diagnosis and treatment. Help and treatment are available for depression and addiction, and recovery is possible. Ideally, both conditions should be treated simultaneously through an integrated treatment to avoid relapse.2 Many symptoms of depression can return (and even worsen) after the drug user becomes abstinent. Many physicians and clinical treatment teams recommend a combination of medication and therapy for the best outcomes. Several types of medications may be used to help manage depression. Research and scientific advancements have improved the scope of treatment and decreased the side effects associated with the most commonly used medications. Selective serotonin reuptake inhibitors (SSRIs) such as Zoloft, Prozac, and Celexa. Serotonin and norepinephrine reuptake inhibitors (SNRIs) such as Pristiq, Cymbalta, and Effexor. Tricyclic antidepressants (TCAs) such as Elavil, Anafranil, and Tofranil. Monoamine oxidase inhibitors (MAOIs) such as Nardil, Parnate, and Emsam. Today, several medications are also used to treat alcohol and opioid dependence and reduce substance cravings. No single medication has been approved to simultaneously treat both depression and substance abuse. But those with dual diagnoses appear to respond well to a combination of medications in conjunction with psychotherapy. Cognitive behavioral therapy (CBT): CBT helps people alter negative patterns of thinking that contribute to depression. The technique helps people to examine their environment and their behaviors and interactions within it to then reframe them more positively. Patients are encouraged to look at the consequences of certain behaviors and use self-monitoring and action to recognize distressing situations and feelings and develop proactive coping strategies. CBT works well for both depression and substance use disorders. Interpersonal therapy (IPT): IPT helps patients work through impaired interpersonal relationships. IPT focuses on changing behavior and exploring major issues, such as grief or difficult transitions, which can impact depression. Problem-solving therapy (PST): PST helps patients cope with difficult life stressors and experiences. Using a step-by-step process, therapists help patients pinpoint problems and come up with effective and realistic solutions. Contingency management (CM): CM provides patients with tangible rewards to reinforce positive behavior. For example, patients may receive vouchers for drug-free urine samples that they can use for food items or other prizes, goods, and services. Motivational enhancement therapy (MET): MET provides resolution and clarity for those struggling with ambivalence about sobriety and treatment. This approach aims to create rapid, internal change by strengthening one’s motivation and hope. The Matrix Model: The Matrix Model helps people with stimulant addiction achieve abstinence through structured support. Treatment combines elements of relapse prevention, family and group therapy, addiction education, and peer support groups. Setting realistic and obtainable goals. 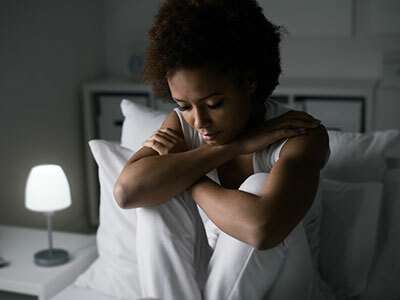 Continuing to learn about depression, its effects, and its treatment options. There are many types of treatment available for people struggling with dual diagnoses. The most appropriate type of treatment will depend on the severity of the conditions and one’s history of treatment (e.g., any previous courses of treatment, any previous treatment complications). Inpatient care: Those with severe addictions may require inpatient care. This level of care provides 24-hour support, structure, and monitoring in a residential setting. Inpatient care can be short-term or long-term, depending on the client’s needs. Outpatient care: Those with relatively less severe addictions might benefit from outpatient care, which entails visiting a behavioral health counselor or facility on a regular schedule. Patients typically receive both group and individual counseling. 12-step programs: Twelve-step groups such as Alcoholics Anonymous and Narcotics Anonymous encourage active engagement in sobriety and fellowship. These groups promote normalizing addiction, accepting powerlessness, and surrendering to a higher power for hope and healing. They are often incorporated into inpatient and outpatient treatment programs. If you or a loved one is struggling with depression or addiction, help exists. Reach out today to receive the support and care you need. If you are feeling actively suicidal or at risk of hurting yourself, please contact the National Suicide Prevention Lifeline. National Institute of Mental Health. Major Depression Among Adults. Davis, L., Uezato, A., Newell, J., & Frazier, E. (2008). Major depression and comorbid substance use disorders. Current Opinion Psychiatry, 21(1),14-8. National Institute on Drug Abuse. (2003). Preventing Drug Use among Children and Adolescents (In Brief). National Council on Alcoholism and Drug Dependence, Inc. (2017). Signs and Symptoms. Substance Abuse and Mental Health Services Administration. (2005). Substance Abuse Treatment For Persons With Co-Occurring Disorders. National Institute of Mental Health. Depression: What You Need to Know. National Institute on Drug Abuse. (2012). Alcohol Addiction.